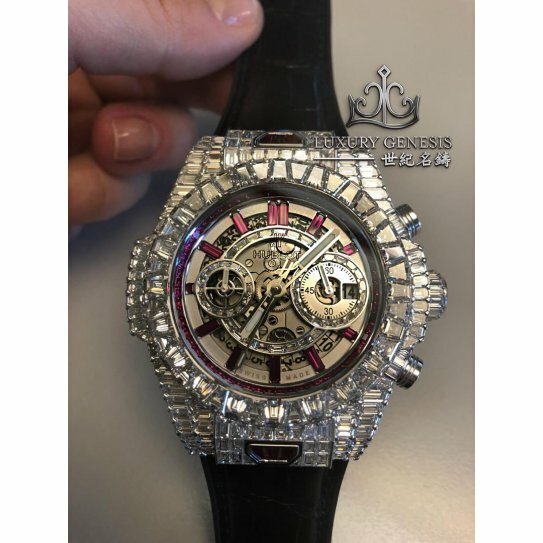 Hublot [NEW] Big Bang Unico “10 Years” Haute Joaillerie Ruby Edition 411.WX.9042.LR.9942 - SOLD!! Tags: hublot, [new], big, bang, unico, “10, years”, haute, joaillerie, ruby, edition, 411.wx.9042.lr.9942 sold! !